In Olafsson’s fifth novel (Restoration, 2012, etc. ), set in a rarified world of high-achieving intellectuals and artists, a neuroscientist attempts to unravel mysteries in his personal history as he recovers from a tragedy. Magnus grew up in England but now lives in Manhattan and commutes to a hospital in Cold Harbor, Connecticut, where he works on a project studying human consciousness in seemingly comatose patients. As the novel opens, he describes being put into an artificial state of physical paralysis for two hours just to experience it. Unable to move or communicate, he hears the sea outside his open window for the first time since his lover, Malena, visited him at the hospital the previous fall, a moment when he “should have known from her voice that something was wrong.” Malena, an Argentinean who taught modern dance at Julliard, has since died under cloudy circumstances that Magnus spends the rest of the novel trying to fathom. In elliptical snatches he recalls their intense affair, which he repeatedly claims was close to idyllic. While still mourning Malena, Magnus is thrust back into interaction with his parents, Vincent and Margaret, whom he reluctantly agrees to visit at their home in Hertfordshire for his mother’s 70th birthday. Both Vincent and Margaret have always believed that emotionally fragile Margaret is a musical genius whose virtuosity on the piano has been cruelly ignored. Vincent comes across as a pathetic charlatan who pours cheap bubbly into expensive champagne bottles. Magnus has always felt that Margaret, who showed him little maternal affection when he was a child, blamed him for her lack of success. When Margaret becomes something of a media sensation after Vincent releases her new recordings, Magnus begins to questions his perspective on his childhood. Meanwhile he begins to work with a new patient, a woman who appears to be comatose but may understand more than she lets on. 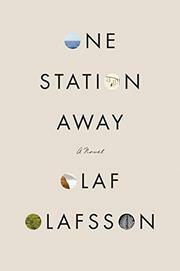 Olafsson’s emotionally chilly tale raises interesting questions about the capacity and limits of science and about how hard it is to know another person, but for all its braininess the novel never develops a beating heart.